Just over a week ago, the Freeze Big Air Festival planned for the Olympic stadium in Stratford, London was announcing Nile Rodgers and Chic as their headline act. @freezebigair not even an apology? According to the website, the competition will take place in ‘early 2016’ instead. However, it’s already short notice for those months and many athletes will already have commitments to other events once the winter circuit has started. 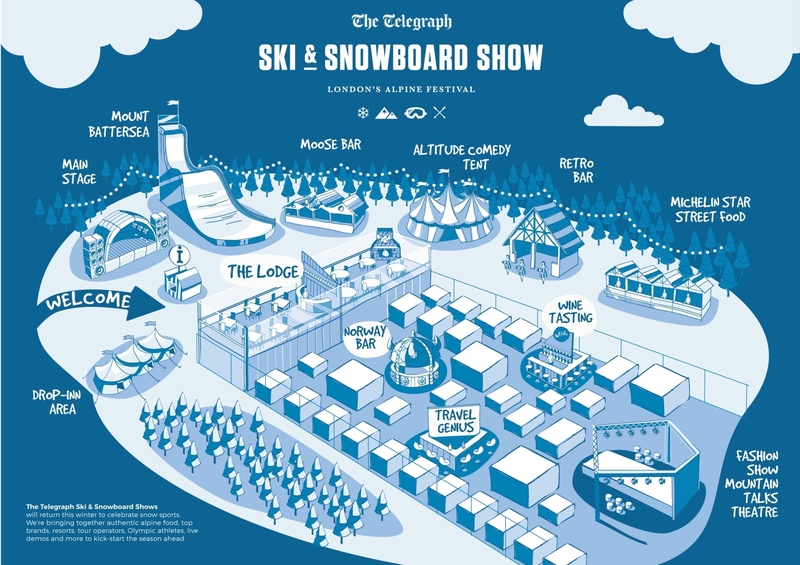 There will be at least one snowsports event in London next month – the Ski and Snowboard Show at Battersea Evolution. 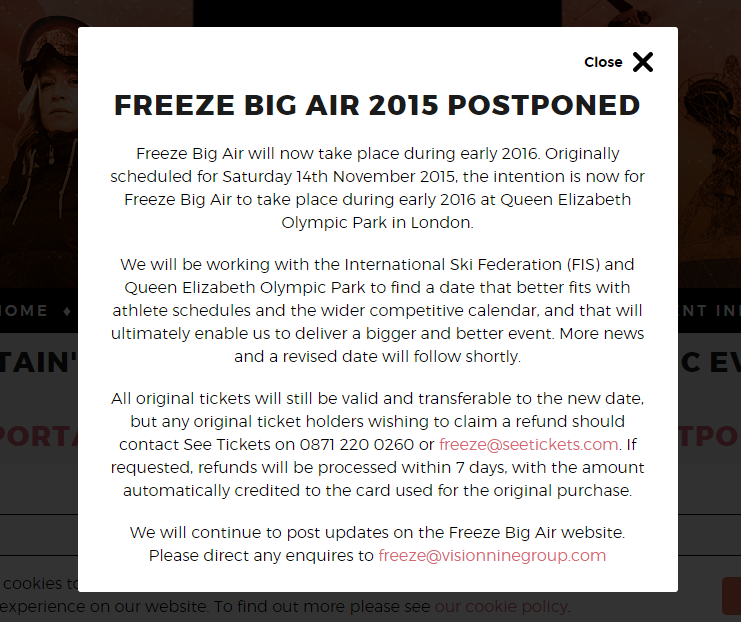 We previously referred to the Freeze Big Air as the ‘elephant in the room’ for the London Show. We can now add the word ‘extinct’.